Around this time of year, you’re going to be inundated with “resolution” and “prediction” posts, with folks proselytizing on their views of tech trends for the upcoming year. Your boy is no better. But unlike these other jokers at Mashable, Techcrunch, Gawker, et al., who spend time researching, interviewing experts and reviewing industry reports, I simply comb through their work, cherry-picking the tastiest tidbits and regurgitating their work as my original thought. The end of the year provides a great opportunity to review the wins, hits or misses or the previous year and reliably forecast what may happen in the year ahead. There have been a number of interesting developments over the past year, which give me confidence to say that 2015 will be the year of mobile. For example, there are more mobile devices than people on the earth. That’s significant, especially if all of these people are browsing from their mobile devices. Even if only half of them utilize their mobile devices as the primary means for getting online, brands that aren’t mobile-enabled are going to see their bounce rates increase and revenues decline, as folks abandon them for sites that are mobile optimized. But rather than talk about how mobile will impact brands generally, here are my top five mobile predictions for 2015. 1. Mobile payments are going to take off. With Apple Pay already being adopted by 220,000 vendors, the mobile payment trend is undoubtedly going to grow. Apply Pay joins other established mobile payment solutions, like Google Wallet and PayPal, and newcomers, like LevelUp and Paydiant, as well as a host of others scoping the mobile payment space, including Square and Swipely. With folks taking privacy and security seriously, e-commerce sites and mobile applications that allow users to avoid the necessity of having to manually input payment details over insecure wifi networks, will undoubtedly be the preferred method for completing online transactions. This year, I predict mobile payments becoming a standard. 2. Mobile sites will proliferate this year. As brands start to realize that customers are spending increasing amounts of time on mobile devices, getting in on this action will be a critical strategy to engagement. Last year, the average person spent almost 3 hours a day on their mobile devices. That’s more time than they spend online, and this trend will likely continue. With streaming services offering television-like abilities, mobile may eventually outpace tv. But at a very basic level, this year brands will acknowledge that the failure to have a mobile site (either mobile enabled or fully responsive) is a distinct competitive disadvantage. I predict the number of mobile sites will invariably grow at a tremendous pace this year. 3. Widespread adoption of auto-fill. Retailers bemoan cart abandonment as the bane of their existence. Over 68% of e-commerce shopping carts are abandoned. The holy grail for online shopping involves seeing shoppers through checkout. But for mobile shoppers, there is nothing more frustrating than having to complete payment and shipping forms on their mobile device. Payment options like PayPal or Amazon One-Click save users from filling out many of the fields required to complete their online purchases, but too few online vendors are set up with streamlined payment processes. And while a fine tuned checkout doesn’t necessarily equate to fewer abandoned carts, it couldn’t hurt! Auto fill is a simple and easily implemented solution, that can occur at the browser or native (device) level, which will enable users to quickly and securely complete online forms, typically with one click, dramatically reducing the amount of time (and frustration) required to complete payment or shipping information (or forms of any kind). Google Chrome has already implemented the ability to auto fill forms in both full HTML and mobile web browsers, and many of the mobile payment solutions described above, also include the ability to complete non-payment forms as well. I predict widespread adoption of mobile autofill solutions, as more players enter the space and users become more conversant with these types of platforms. 4. Mobile loyalty programs will grow. Nearly every retailer I frequent has some sort of rewards program. Stores like Anthropologie, Sephora, CVS, Modell’s, Target, and ShopRite all have rewards programs tied to a keychain or wallet-sized reward card that patrons can present at checkout to earn points or qualify for rewards. But 2015 will see an increasing number taking advantage of Passbook or eliminating cards in favor of mobile loyalty or punch cards. Instead of having to present a loyalty card, users will simply whip out their cell phones flash a QR code and transmit their rewards or loyalty account info, similar to how Starbucks and Dunkin Donuts’ mobile rewards work. I predict that 2015 will see more brands taking advantage of the convenience of mobile loyalty and release Passbook-like offerings of their own. 5. Wearables will change the mobile landscape. In the not-too-distant past, when you thought “wearables” a massive virtual reality helmet was probably all that came to mind. But with Oculus Rift making wearable headsets more like goggles, and less like NFL helmets, the concepts is more palatable. The definition of wearables has extended from virtual reality headsets, to Google Glass to fitness devices like the Nike FuelBand, the Fitbit tracker, the Apple Watch and Android smart watches. Wearables will open a whole host of smart applications, devoted to health and fitness, as well as medical diagnostics. I predict that wearables will have a breakout year in 2015, driven primarily by the Apple Watch, but supported by advances in Android wearables, the proliferation of 3D and augmented reality applications adding rich virtual layers to users’ real life experiences. 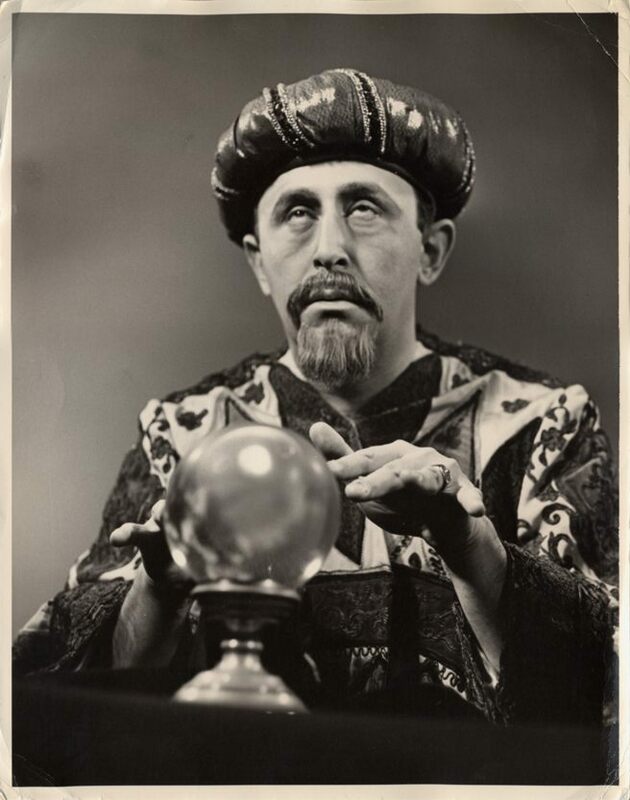 What are your mobile predictions for 2015? Feel free to comment and share! It’s that time of year again, where folks publicly state the things that they are (or aren’t) going to do in the upcoming year. Cats resolve to do everything from losing weight, getting organized, finding a new job, drinking less, to saving money, eating healthier or reducing stress. By and large, we make personal or individual resolutions, but very rarely do we devote this type of attention to our brands. But if you think about it, was 2014 a stellar year for your brand? Aren’t there things you wish you had done better last year? In fact, you probably couldn’t have been more social because you don’t know what you were doing wrong. Lets think about this for a moment, shall we? Your Facebook page could have been more engaging. Right? You probably could have posted more on Facebook, uploaded more flicks on Instagram, responded to more people who commented on your blog, or reciprocated more follows on Twitter. Right? To be plain, you could have been more social. 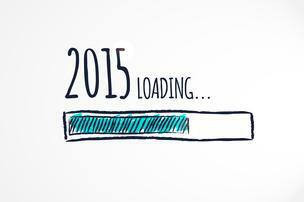 Here ere are five resolutions to make your brand more social in 2015. Resolution No. 1. I will go mobile this year. Mobile. Mobile. Mobile. Did I say “mobile?”2015 will be the Year of Mobile. Brands who adopt a mobile-first approach, will far outpace those which fail to accept the fact that the mobile is the sweet spot for brands – especially in the retail and self-service industries. Mobile is the primary means through which folks are getting online, browsing and making discrete purchase/payments. With Apple Pay, PayPal, Google Wallet and other mobile payment platforms, it’s the key to unlocking tight sales and generating revenue across screens. One brand that has taken the importance of mobile and social to heart is Williams-Sonoma. The Williams-Sonoma family of brands, which include Williams-Sonoma, Pottery Barn, pottery barn kids, PBTeen, West Elm and Mark and Graham, have embraced mobile with mobile web properties that are simple to navigate and resulted in expansive growth of their brands online. In their annual report, Williams-Sonoma cites e-commerce as their “fastest growing business” and a “significant part of their sales success.” Other brands should look to companies like Williams-Sonoma, to see how mobile can be effectively leveraged in 2015. Resolution No.2. I will implement a loyalty program. Loyalty is becoming increasingly valuable to users who are looking to stretch their dollars. Who doesn’t want to be rewarding for spending money on the brands they patronize? More importantly, in this “look at me” world we live in, folks are quick to share that free coffee they just earned on Starbucks on Facebook (or Twitter) or invite friends to take advantage of a special offer (especially if it means they can earn more loyalty points for doing so). Loyalty is especially important in the retail space. When the price of an item is virtually the same regardless of vendor, loyalty is sometimes the difference between making the sale or not. Best Buy has a particular good loyalty program, which rewards patrons for spending with them. Best Buy customers earn points for every dollar they spend, which can be redeemed for reward certificates. Loyalty members also qualify for discounts, free shipping and hosts of other special promotions. Starbucks, Sephora and Walgreens each have loyalty programs that reward customers who enroll. Resolution No.3. I will use text messaging to engage. Mass push notifications (aka text messaging) are a rudimentary, but effective way of interacting with your current or potential customers. Even though it seems counterintuitive in this age of smart phones, apps and responsive mobile sites, texting is still effective for reaching millions of mobile users who relish the quick tidbits of information that can be shared in 160 characters or less. One great thing about text messages is that, in addition to their brevity, you can embed links, which will let the user access greater detail, if they want, with a simple click. Beyond the ability to broadcast messages to large numbers of people simultaneously, text messaging is far less intrusive than email, as users opt-in to receive them. Thus, there is a far greater likelihood of your messages being read and acted upon. There are a number of brands effectively using text messaging to engage with their audiences, including retailers like Abercrombie & Fitch, Bed, Bath & Beyond and Aeropostale. Each of these brands understand the importance of text messaging, alongside their other targeted marketing efforts. Resolution No. 4. I will use social media more. Instagram has become the de facto platform to connect with this social demographic. But Facebook, Twitter, YouTube, Pinterest and Google+ (among others) still have a place with millions of users. This year, resolve to connect with your audience across multiple SM platforms. Even if you’re not creating unique content for each channel, at a minimum, make sure you’re broadcasting across all of them. In 2014, brands like Fiat, Jockey and Burton, all made effective use of social media. By focusing on greater engagement, thoughtful campaigns and a commitment to truly using social media platforms, these brands were able to connect with and grow their respective bases in 2014. Resolution No. 5. I will refresh my content regularly. There is no worse sin in social media than stale content. Something new happens every day, so there’s no reason for your content to be static. Whether it’s a new sale, coupon, discount, store opening, product release, acquisition, whatever, updating your website or social media profiles with the new is always a good look for your brand. More importantly, by regularly refreshing your content, you give your users a reason to visit your site, social media space, or mobile app frequently. I’m not talking about being social for social’s sake. There’s nothing to be gained from spending all day on Facebook (or any other social media platform) if there’s no appreciable ROI. I am talking about leveraging social media to enhance your brand and strengthen the ties that bind you with your current and potential audience. As customers become increasingly more mobile and social, adopting a strategy that accepts this as a starting point becomes critical to the success of any initiative. If you’re struggling to figure out how to adopt of develop a more social strategy or implement mobile effectively, or if you have any questions, feel free to drop me a line or leave a comment.